The third and final installment of BioWare’s epic space saga, Mass Effect 3, is out today, available on PC, PS3, and Xbox 360. Both fans and critics of the game have been eagerly awaiting the finale for some time now, as it was officially announced in December of 2010. 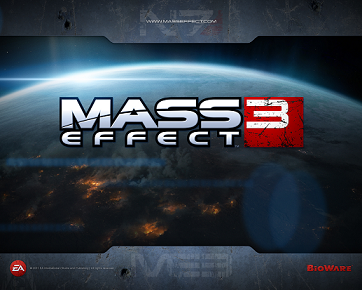 With a massive cast of characters, and the player’s choices in Mass Effect and Mass Effect 2 having a direct impact on the events of the game, Mass Effect 3 should prove to be a highly entertaining entry into this year’s RPG category. Are you planning on playing the game? Do you have a favorite character? Who is better to play as, Male!Shep or Fem!Shep? Let us know your thoughts on the game, and look for a review soon! This entry was posted in Games and tagged commander shepard, games, mass effect 3, pc, PS3, rpg, xbox 360 on March 6, 2012 by Jane J.